We made it to the end!!! Wahoo!!!!! I have had a great month and I am so glad that I decided to teach my Boo the letters this way. I feel like I never got bored since the letters were changing daily, and there was always something fun to look forward to doing. Z day was filled with smiles at the local zoo! Of course we saw zebras!!! But the best part of the zoo was seeing the itty bitty giraffe that was just born yesterday! He was so cute!!! I printed off a cute Zoo book that we colored. I added this pdf to the Z page on the wiki as well as a zoo checklist and some word wall words. Busy day and I am looking forward to our culminating picnic tomorrow. Happy Teaching and keep on learning!!! 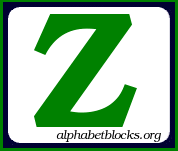 This entry was posted in alphabet, learningtime, literacy and tagged letter Z on August 1, 2009 by ktoponce.